Welcome back! I am glad you’ve returned. This week, I am continuing my list of “Storming The Castle Movies Scenes” from a science fiction or comic based movie as determined by my hubby and me. Remember, these are not in any particular order from best to least best; nor is it an exhaustive list. 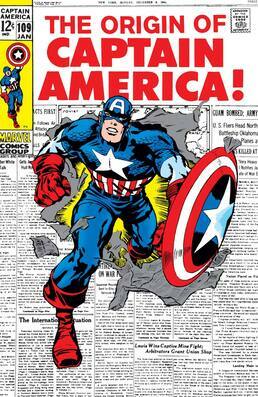 In March, 1941 a famous soldier made his début into the comic book world. This soldier would become a beacon of hope and patriotism for the next decade. With WWII raging across the ocean, the U.S. government was getting ready to enact the Lend-Lease program to send much needed supplies to our Allies. Fear of America being drawn into the war was a raging current through our citizens. In a seemingly prophetic move, Joe Simon and Jack Kirby created a hero that Americans could get behind. This hero, who started out as a sickly, skinny, pasty dude, came to stand for patriotism and heroism in our country. This hero, one of my favorite comic-book characters, is Captain America. Needless to say, I was happier than the Hulk smashing the Abomination through a titanium wall when I found out there was going to be a Captain America movie. Released in July 2011 and starring Chris Evans in the titular role and Hugo Weaving as The Red Skull, Captain America: The First Avenger, told the story of the origins and subsequent frozen nap of the All-American Hero. The STCMS that I want to share with you is the second of two in the movie. The first, is the scene that allows Steve Rogers to do what he has always wanted to do: fight for his country and fellow soldiers. The second, is Captain America taking the beat down to the enemy with the future agents of S.H.I.E.L.D. and Allied Forces at his back. 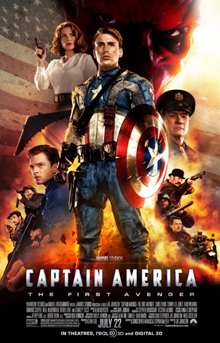 Angered at having lost his best friend, Bucky, Captain America comes up with a plan to put a stop to the Red Skull and his nefarious plot to destroy and take over the world. And he has a lot of fun (in my opinion) getting into the evil psycho’s lair. Here is the first part of the storming scene. And yes, there are motorcycles! If you created a Storming the Castle list, would this scene be on it? Which scenes would you include? Leave a comment and let me know. I’d love to know what movie scenes you’d include.